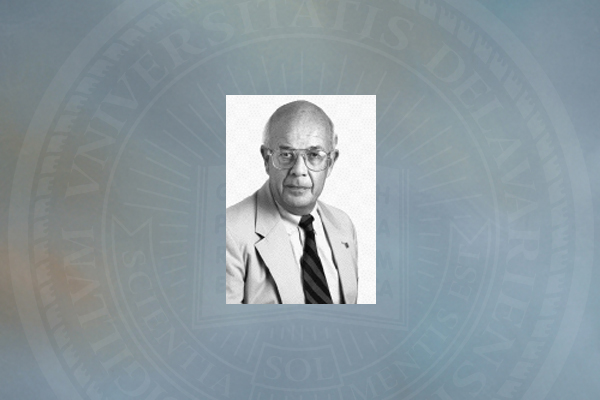 1:34 p.m., Jan. 20, 2015--Lawrence P. (Larry) Donnelly, former chairperson of the University of Delaware Department of Economics, passed away on Jan. 6, 2015, at his home in Alpine, Wyoming. Dr. Donnelly earned his bachelor of arts from the University of Connecticut in 1964 and his doctorate in economics from Brown University before joining UD’s Department of Economics in 1968. He served as acting department chair during the 1975-76 academic year, after which he served as department chair from 1976-89. During the 1989-90 academic year Dr. Donnelly served as acting dean of the Alfred Lerner College of Business and Economics, after which he was appointed associate provost for international programs and special sessions. In 2000 he returned to teach in the Department of Economics until his retirement in 2007. Dr. Donnelly loved teaching and particularly enjoyed working with master’s students in economics. His teaching led him to a yearlong Fulbright lectureship in Botswana in 1981-82. Dr. Donnelly’s research focused on marine resources, his published works examining property rights in fisheries and the financing of beach replenishment. His publications appeared in prestigious economics journals including the Journal of Law and Economics, Land Economics and the Southern Economic Journal. During Dr. Donnelly’s tenure as associate provost for international programs and special sessions the number of study abroad programs increased significantly and the number of undergraduates studying abroad nearly doubled from 525 to 900. At the end of his tenure, about 19 percent of UD undergraduates studied abroad, more than twice the national average. In 1991 Dr. Donnelly’s office began arranging international training and assistance programs. One notable success, a business and economics program in Bulgaria, saw more than a dozen UD faculty members participate. The Bulgaria program was supported by U.S. Agency for International Development (USAID) funding, as were similar UD-established programs in Croatia and Montenegro. Dr. Donnelly is survived by his wife Lynn, daughter Kirsten, son Kevin and his wife Natalie, and their three children Lauren, Kate and Drew. He will be missed by his colleagues, students and friends.